Walt Disney originally wanted to name Mickey Mouse, Mortimer Mouse; and it was not until Disney’s wife suggested naming him Mickey that his name was changed. In 1978 Mickey Mouse became the first cartoon character ever to be given a Hollywood Walk of Fame star of his own. “Hot dog” was the first phrase that Mickey Mouse ever spoke. Walt Disney found the inspiration to create Mickey Mouse by seeing his pet mouse he owned when he was younger. Every US president has posed in a picture with Mickey Mouse at some point in their life, with the exception of Lyndon B Johnson. The most popular candidate to be written-in at the voting booth is Mickey Mouse. People around the world are more likely to recognize Mickey Mouse than they are to recognize Santa Clause. 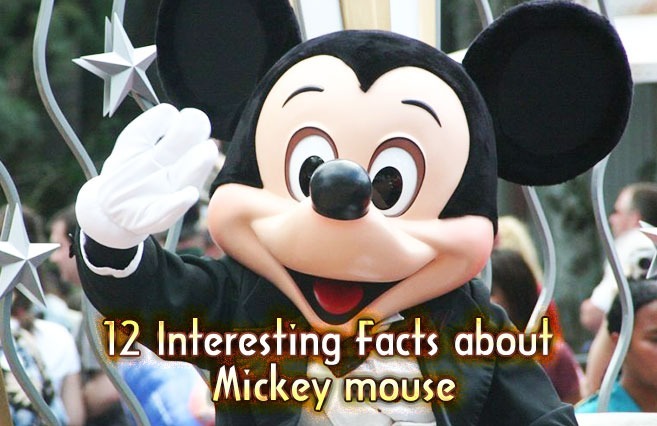 Mickey Mouse was originally voiced by Walt Disney himself. Before Mickey Mouse was created, Disney’s first character was a rabbit named Oswald; however, Disney eventually lost the rights to this character to Universal, thus leading to the creation of Mickey Mouse. Mickey Mouse, wears gloves, so that the audience is able to distinguish his hands from the rest of his body. Although no wedding is seen on screen, it has been confirmed that Mickey is married to Minnie Mouse.